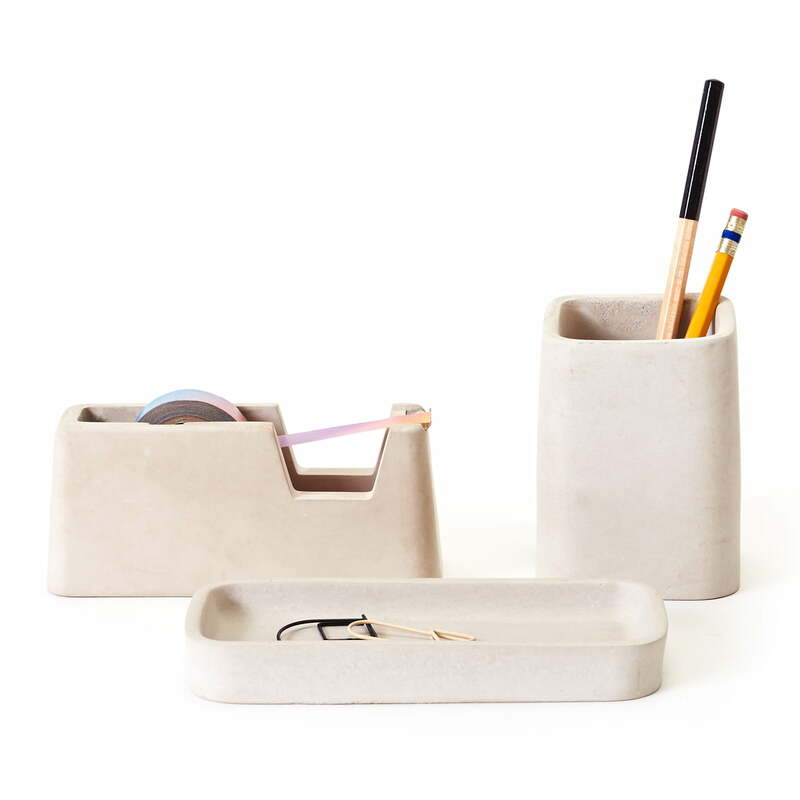 Concrete isn’t only suitable for construction purposes – it can also really be used for desk accessories. The set out of a bowl, a pen holder and adhesive tape dispenser will strongly impress. The Concrete Desk Set is also exceptionally suitable as letters holder thanks to its weight. The special, cubic appearance is obviously special for the desk set by Areaware. The designer Magnus Pettersen was careful in order to create harmonizing objects that would fulfil each other. This is how a desk will look like unfinished brickwork, whose final look depends on how the pieces are placed and filled. Group product image of the 3-part Concrete Desk Set by Areaware in gray. The designer Magnus Pettersen has ensured that the three parts from the set complement each other harmoniously. 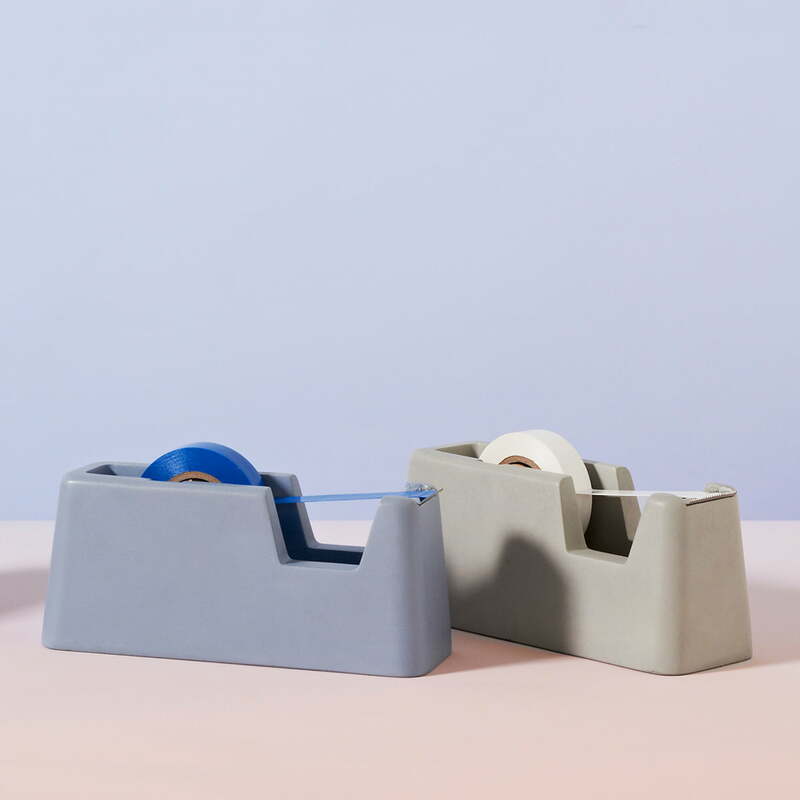 The concrete tape dispenser in the small edition by Areaware is also available in blue and grey. The massive concrete material keeps it solidly on the desk and it is suitable as a paperweight. 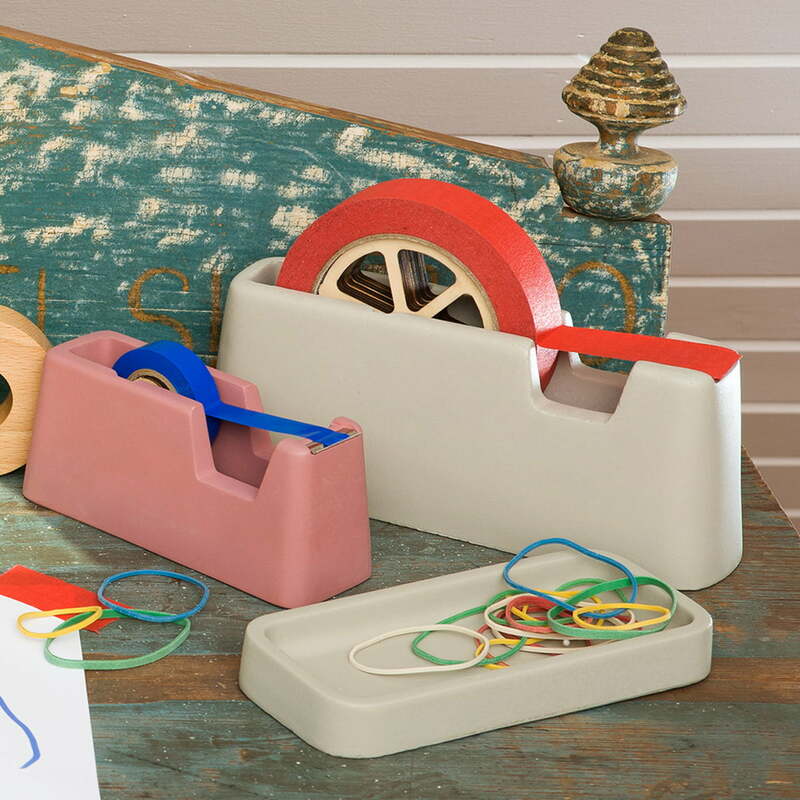 The concrete desk set includes tape dispensers in different sizes and also different storage containers. This is how an overview and order is granted on the desktop. Concrete is not only suitable for construction - it also looks great when used for desk accessories. 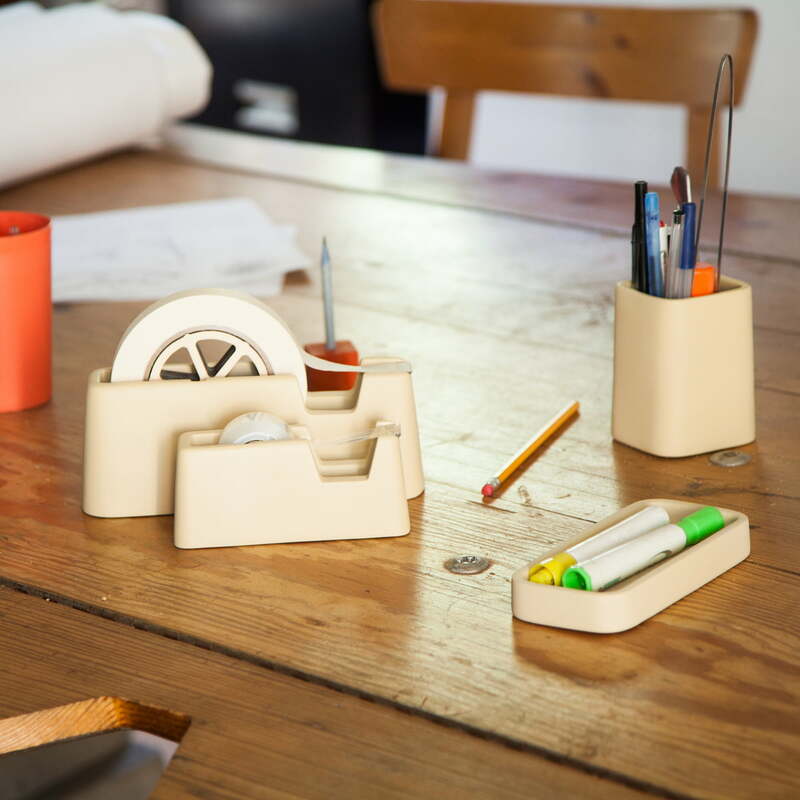 The set consisting of a small tray, pen holder and tape dispenser are made to impress.